Home Graphics Hosting Reviews Why Flickr is Best Image Hosting Site ? Why Flickr is Best Image Hosting Site ? Image hosting web sites are a natural consequence of the advent of digital photography. Digital cameras and mobile phones are everywhere, and some enthusiasts are likely to own a dSLR. The next step is to share these photos, over the internet, with a wide audience. Although there are quite a few image hosting web sites, the competition quickly boils down to Picasa and Flickr, the image hosting solutions from Google and Yahoo!, respectively. These are the market leaders, and the social networking aspect of image hosting is one of the main reasons such services are around at all, and these two sites have the biggest share. So, when you host your images on one of these sites, the chances are that you can share them and get feedback as most users are likely to have a Google or Yahoo! username registered. Despite generally fulfilling the same function, Picasa and Flickr are very different in the way they are used, and what they do best. Picasa has a good uploading client, with some features for adjusting images, clearing blemishes and basic touch-up. Flickr also has a client for uploading photos, but this one does not have any tools for touching up images. Picasa 3 falls short when it comes to serious touching up, though. When uploading a large number of images, Picasa’s client is much better than Flickr, but this advantage is offset by the amount of space that Picasa offers to users. One GB of space for image hosting is rather unbecoming of Google, a company that allocates over 7 GB for email. Flickr has an upload limit of 100 MB per month, which expands every month. Picasa allows for any single image to be around 20 MB, while Flickr allows a maximum of 10 MB per photo. For people who actively use either service, it has become a habit to create as many accounts as necessary. 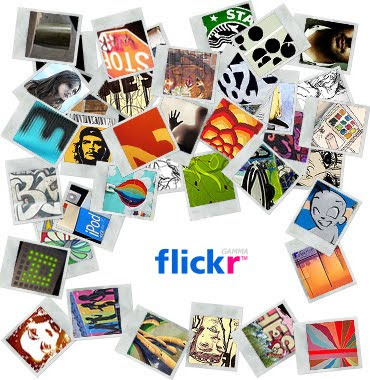 If you are willing to pay for the services though, Flickr outshines Picasa with a $24 unlimited scheme per year. You get 10 GB on Picasa for $20, and 40 GB for $75. While Picasa imposes limits on the number of collections you can make (250), and the number of photos in each collection (500), Flickr has no such constraints. Privacy is important when it comes to photo sharing. Picasa allows you to create unlisted albums, and the images are not searchable. You can, however, send a link to the album, and it can be viewed without signing in or registration. Optionally, Picasa also allows you to make private albums that need the uploader’s approval before the images can be viewed. Flickr also has a privacy setting, and you need to sign in to Yahoo! before private albums can be viewed. Flickr also allows you to group access according to “friends” and “family”, which makes sure that one group does not snoop around the photos intended for another. While Picasa’s approach may be convenient, Flickr’s approach is more secure, so this is a trade-off that the user has to weigh. If photography is a hobby and a user has enthusiast or semi-professional equipment, then the chances are that they will have a more serious approach to photography than the casual user of image hosting services. It is for these people that Flickr really shines through. The Flickr Organizer is a great tool to handle the EXIF data of images, sort them, change them, and tag photos. Picasa has no equivalent tool. Flickr also has a robust search option based not just on tags, but also on EXIF data. This means that when you use Flickr with your equipment, it gets added to the knowledge database of all the enthusiast and prosumer photographers out there, which kicks back as an advantage to the user. For example, before buying a new camera, you can look at all the images shot with that camera in different settings. For these reasons, Flickr has grown to have a very active and helpful photography community, that comments, gives advice and suggests improvements on techniques and approach. Flickr also has an open API, which allows third party developers to create applications using the images on Flickr as a resource. There are ways to jerry-rig such applications for photos hosted on Picasaweb as well, but this approach is not the same as the Flickr API which encourages third party applications. Flickr simply has a lot more to offer to those who want to take digital photography to the next level, and for this reason, Flickr gets our Web Award.